LM7805: 5 volt Fixed Voltage Regulator. The LM7805 series of three terminal regulators is available with several fixed output voltages making them useful in a wide range of applications. One of these is local on card regulation, eliminating the distribution problems associated with single point regulation. The voltages available allow these regulators to be used in logic systems, instrumentation, HiFi, and other solid state electronic equipment. Although designed primarily as fixed voltage regulators these devices can be used with external components to obtain adjustable voltages and currents. The LM7805 series is available in an aluminum TO-3 package which will allow over 1.0A load current if adequate heat sinking is provided. Current limiting is included to limit the peak output current to a safe value. 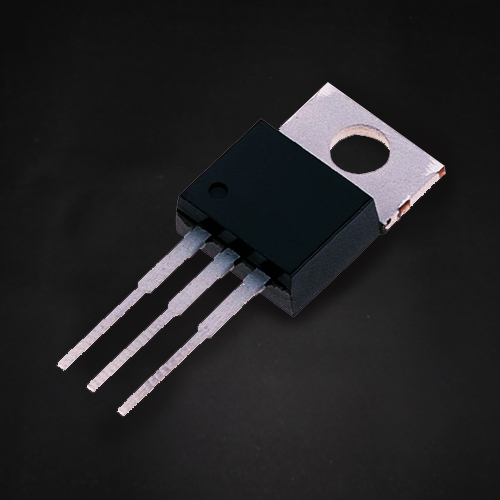 Safe area protection for the output transistor is provided to limit internal power dissipation. 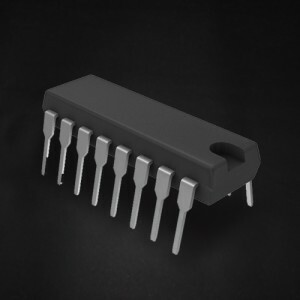 If internal power dissipation becomes too high for the heat sinking provided, the thermal shutdown circuit takes over preventing the IC from overheating. Considerable effort was expanded to make the LM7805 series of regulators easy to use and minimize the number of external components. It is not necessary to bypass the output, although this does improve transient response. Input bypassing is needed only if the regulator is located far from the filter capacitor of the power supply. For output voltage other than 5V, 12V and 15V the LM117 series provides an output voltage range from 1.2V to 57V.